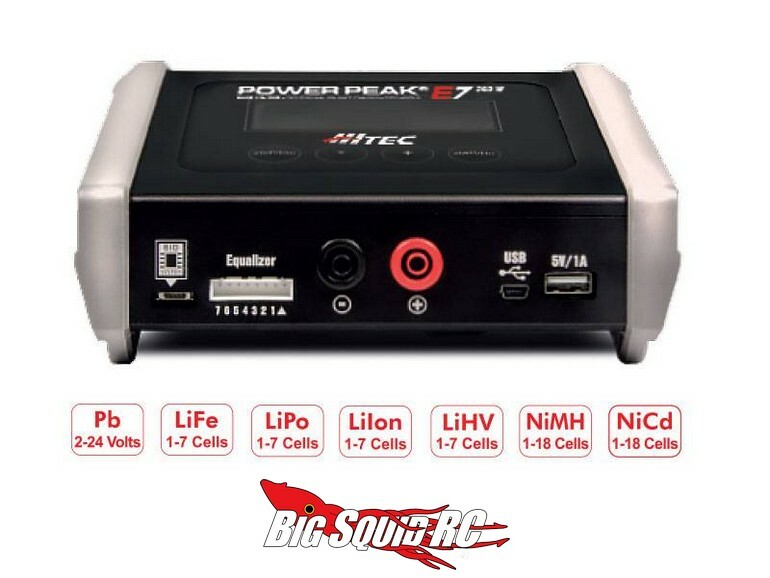 Hitec Power Peak E7 Battery Charger « Big Squid RC – RC Car and Truck News, Reviews, Videos, and More! 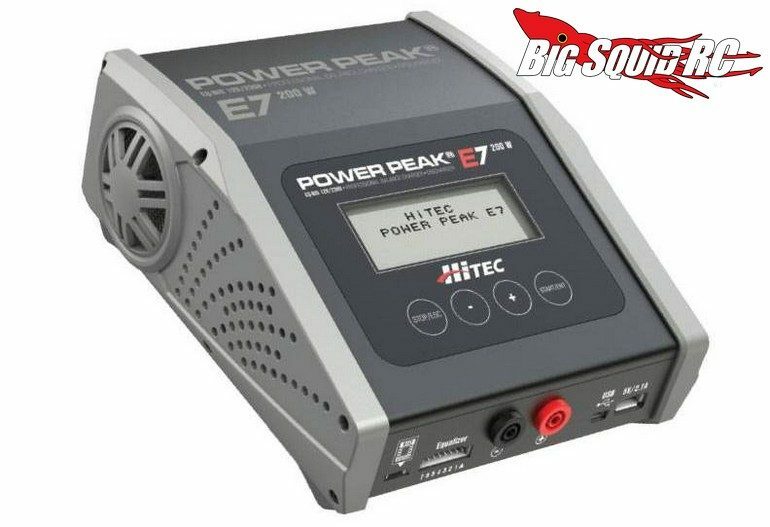 Just announced by Hitec is the Power Peak E7 battery charger. The E7 can charge and discharge all of your packs while using Hitec’s battery identification system. An easy to see graphic screen makes it easy to use while a USB output allows you to charge your smart device. The part number for the E7 is #44265 and full details await you over on Hitec’s Official Website. Get all of the latest Hitec News right here on Big Squid.